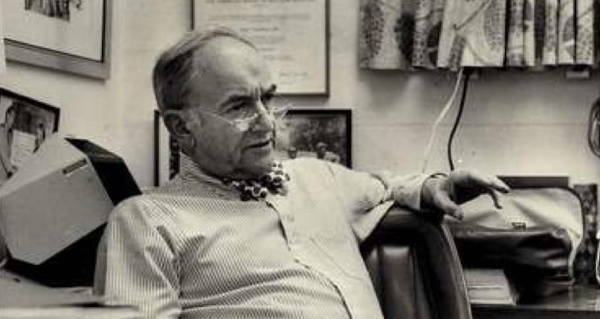 This doctor's experiments tortured poor cancer patients, and he got away with it. Wikimedia CommonsDr. 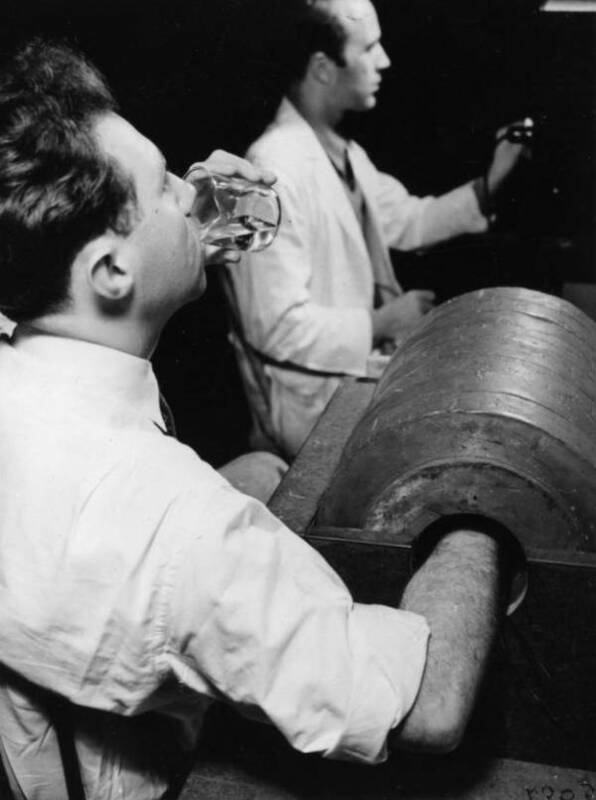 Joseph Hamilton drinks radiosodium as part of a demonstration of a human radiation experiment. Known as an early leader in the field of nuclear medicine and radiation research, Eugene Saenger’s work came at the expense of desperate cancer patients in search of relief. A Harvard graduate who spent almost 40 years at the University of Cincinnati, Saenger contributed to our knowledge of “biologic indicators of dosimetry, categorization of various acute radiation syndromes, and the development of triage procedures for radiation accident victims,” according to Dr. Henry N. Wellman of the Indiana University Medical Center. Saenger even advised the American government on its response to the 1986 Chernobyl meltdown. However, these contributions have since largely been overshadowed by the ugly history of human experimentation that Saenger left behind. Ever since the Manhattan Project was created to build the first atomic bomb, the U.S. government wanted to know how nuclear radiation would impact the human body. Researchers at the Atomic Energy Commission tried to find answers in the 1940s, injecting rats and later unwitting human subjects with plutonium. One of the lead scientists on the project, Dr. Joseph Gilbert, warned that the human tests “might have a little of the Buchenwald touch,” a reference to the Nazi concentration camp where horrifying experiments were conducted. Less than a decade later, Saenger applied for a government grant with a proposal titled “Metabolic Changes In Humans Following Total Body Radiation.” The government wanted to know how sustained radiation exposure would impact the combat effectiveness of soldiers in the field, and despite plenty of evidence to the contrary, Saenger thought radiation exposure could provide medical relief for cancer patients. The Department of Defense approved the grant, and in 1960 the tests began. The experiments worked like this: The University of Cincinnati hospital would refer patients with advanced cancer diagnoses to Saenger, who would explain the intention of his tests while omitting the fact that the “treatment” was being paid for by the Department of Defense. And while all patients gave their consent, the researchers failed to discuss the possible negative outcomes of undergoing the treatment. Written consent forms weren’t even introduced to the experiment until 1965. The patients that were selected each had a terminal diagnosis but were otherwise healthy, and none had undergone radiation therapy beforehand, since the goal of the experiment was to replicate radiation exposure on healthy tissue. The patients, who were anywhere from nine to 84 years old, were exposed to up to 300 rads over the course of a few hours. This is equivalent to about 20,000 chest x-rays, well outside the amount of radiation exposure considered safe. They suffered from a number of debilitating side effects, ranging from nausea and vomiting to hallucinations. The mortality rate was astonishing. Of the 80-plus cancer patients experimented between 1960 and 1971, as many as one quarter are thought to have died from radiation exposure. Because of the patients’ terminal diagnoses, the exact number of deaths directly attributable to the experiments is unclear. But even when Saenger disputed the fatalities stemming from his experiments in a report to the DoD, he admitted that the tests were responsible for at least eight deaths. Taking advantage of patients like these, the Cincinnati radiation experiments carried on for more than a decade, finally ending in 1972 under pressure from Senator Ted Kennedy. Following these investigations, Eugene Saenger’s legacy was left a mixed bag at best. He significantly contributed to the scientific body of knowledge by exploiting unknowing, uneducated, poor cancer patients, most of them African-American. In 1999, the families of these patients were awarded a $4 million settlement by a federal judge. Nevertheless, to this day, his studies are used by the government and the private sector to create radiation exposure guidelines. Next, read about some of the most evil science experiments ever conducted. Then, discover the horrors of Josef Mengele’s Nazi experiments.